Minneapolis, MN: FHA has announced tightening of their guidelines that lenders must follow when approving loans. It estimates 4% to 5% of all FHA loans would be affected going forward versus current FHA guidelines. This works out to be between 40,000 to 50,000 loans this year. Not really. While the guideline change headlines posted around social media and on the news sounds all doom and gloom, the reality is the change targets just a small group of potential home buyers with both low credit scores and very high debt-to-income ratios. Immediately after the housing market crash, all lending rules were significantly tighened. As the markets returned to normal, underwriting guidelines also returned to a more traditional pre-2001 level. In 2016, FHA guidelines were relaxed even more for clients with below 620 credit scores and debt ratio's over 43%. This has resulted in an explosion of FHA loans with back debt-to-income ratios exceeding 50% - YES, 50%! That is crazy. This has also resulted in the average FHA loan credit score dropping to just 670, the lowest average score in the past 10-years. As one can imagine, FHA is very concerned about the performance of these high risk loans, and is simply pulling back some guildelines to make sure these high risk loans receive a "more rigouous manual underwriting process" before being approved. Will this result in a few people getting denied that may be approved today? Absolutely. But understand it is the right thing to do in both the interest of long-term FHA solvency, and not putting someone in a loan they really can't afford. Ready to get started on your FHA Loan? It's easy. Simply complete the Online application. You'll be applying directly with me, Joe Metzler, an experienced, multiple award winning Loan officer with over 20-years in the the business. 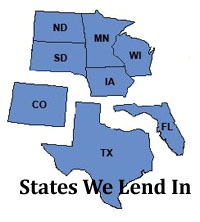 We lend in MN, WI, and SD. Learn more about me HERE. 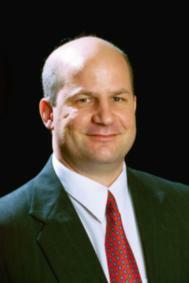 Joe Metzler is a Senior Mortgage Loan Officer for Minnesota based Mortgages Unlimited. He was named the 2014 Minnesota Loan Officer of the Year, and Top 300 Loan Officers in the Nation for 2010, 2015, 2016, and 2018. To finance with Mortgages Unlimited, your local preferred mortgage lender for Minnesota, Wisconsin, and South Dakota, simply call (651) 552-3681, or APPLY ONLINE. NMLS 274132. Equal Hosuing Lender. How long before mortgage insurance cancels?